Why We Use Solidworks for Our Designs - TMS Inc. When it comes to 3D CAD software, it’s hard to top the reputation that Solidworks has in the engineering field. Over two decades, the engineers at Solidworks have worked hard to forge the top spot in their field. Based on their reputation and suppor, we here at TMB exclusively use Solidworks in all of our designs, big or small. We’ve gotten plenty of questions on what applications we use to design our Structures. So today, in our Solidworks overview, we’ll provide a basic understanding of the software and the reason we continue to use it year after year. If you are looking for 3D CAD solutions or rendering software, Solidworks has you covered. The right software will be able to push your development process, allowing you to accomplish things you wouldn’t have been able to do otherwise. From simulation programs to programs that deal with electrical design, you’ll be able to find the kind of software that you’re seeking. They offer affordable and effective software that can do exactly what it needs to do. If you explore your offerings, you should be able to find software that appeals to you. If you have a problem with Solidworks software, you will be able to get that issue resolved. They provide comprehensive support to all of their clients. Whenever something goes wrong, you’ll have the tools needed to take care of it. The staff at Solidworks will be able to help you find software that will work with your system requirements. If you have a problem, the support staff will be able to talk you through the issue. They also have a large and expansive knowledge base that you can rely on. With resources like this, you’ll be able to deal with any technical issues that come your way. 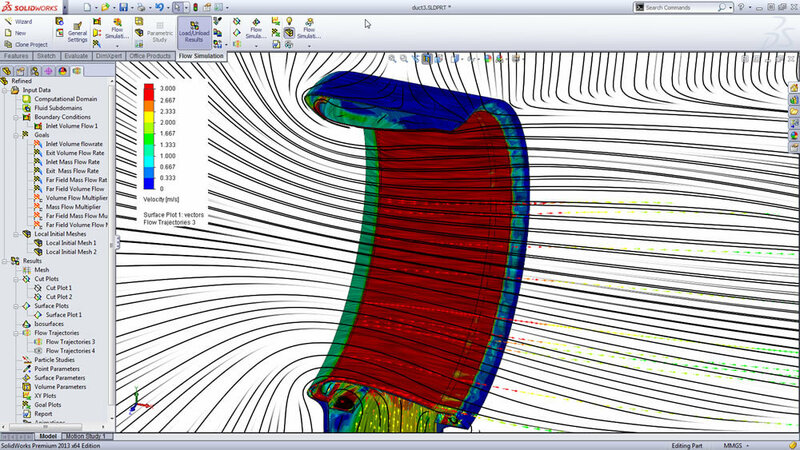 While Solidworks designs their software with the user in mind, complex software tends to have a learning curve. That is why they also offer training programs to clients. From certification programs to training courses, anyone that wants to learn how to use this software will be able to get the education they’re looking for. From in-depth training programs to a Solidworks overview, there are all kinds of courses available. Take a closer look at the kind of training Solidworks provides. If you or your employees need an education, Solidworks will be able to help you to get it. Software like this can be costly. It can be hard to commit to a program without trying it out first. Thankfully, Solidworks allows their clients to demo their software if they desire. You can test out their programs and see how they work in your system. A demo will give you a clearer picture of the functionality that a piece of software offers. Once you have demoed a program, it’ll be easy for you to determine whether or not this software is right for you. You wouldn’t buy a car without giving it a test drive, and you shouldn’t buy a piece of software you haven’t used. Demo the software you’re considering so that you can see if it’s a good fit for your needs. A large number of people use Solidworks software. In fact, a community has sprung up around this software. There are official Solidworks forums that see a great deal of activity. Being a part of a community can be a great experience, especially when it comes to something like software. If you need advice for one of your purchases, you will be able to get it. This Solidworks overview should help you to see why so many people choose Solidworks. They are one of the most successful software companies out there. Many people love the things that they offer.